The City’s mid-tiers defied the critics to achieve market-leading pace through 2015, cementing the gains of recent years. How big an upset can the tortoises deliver? 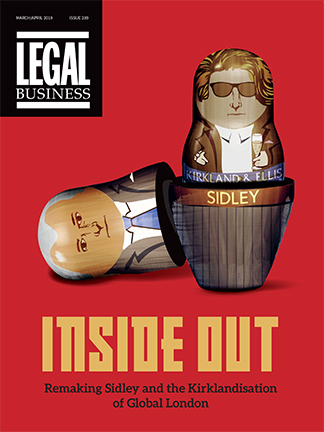 There are a few simple ideas that define the pecking order in the UK legal industry. The big boys are international, materially larger than the tiers below and two to three times as profitable as their mid-pack cousins. Specialist practices and focused City firms in the second 50 thrived in what remained an uncertain market. The second 50 is a hard place for any law firm without a strong claim on their chosen patch. Overall this section of the market saw a flat year despite the support of a relatively upbeat domestic economy and surging property market. Regional firms are experiencing mixed fortunes. Can they take advantage of a less London-focused client base? Regional and national firms dominate the second half of the Legal Business 100 (LB100), but typically they do not enjoy the same success as the London-based firms that also occupy the lower end of the table. This year, 32 firms ranked 51-100 are regional or national law firms based outside London, totalling £1.2bn in revenue from 6,308 fee-earners. The firms that appear in the Legal Business 100 (LB100) are the top 100 firms in the UK, ranked by gross fee income generated over the financial year 2014/15 – usually 1 May 2014 to 30 April 2015. We call these the 2015 results. Where firms have identical fee incomes, the firms are ranked alphabetically. Amid a challenging year for London’s top firms, Allen & Overy (A&O) managed to hit its stride with revenue growth of 4% to £1.28bn, while profits per equity partner (PEP) came in at £1.21m, a rise of 8%. Life for a financial services-heavy law firm competing with larger rivals was always going to be challenging after the banking crisis, but Simmons & Simmons suffered more than most as it wrestled with abortive merger talks, plunging turnover and strategic discord. It was another strong performance from Legal Business’ 2015 Law Firm of the Year, Osborne Clarke (OC), which saw revenues grow from £142m to £151m, with profits per equity partner up from £513,000 to £550,000.